Keeps products and supplies free from contamination. Ideal for pharmaceutical, medical, aerospace, optical, and food processing operations where absolute standards of cleanliness are required. Bags are made from virgin low density poly and do not contain any additives. Double-bagged and vacuum sealed for extra protection. 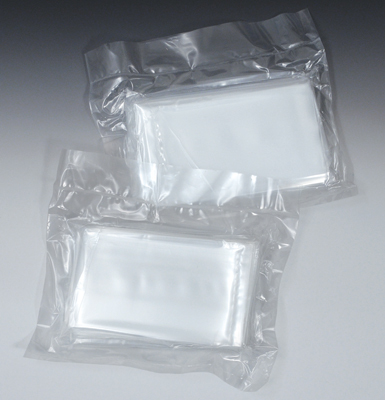 Manufactured and packaged in a Class 100 clean room environment.